This is November, which means its Financial Literacy month in Canada. One of the items I'd like to address this time is the subject of bad debt write-offs, which often confuse consumers, as well as creditors. This is not an advanced credit management article, but a simple overview to clear up the frequent assumption by consumers and business owners that a bad debt write off procedure forgives or cancels a debt, or prevents collection, when it is simply an exercise in accounting that does not affect liability. Please understand, when you use a company for a service that will be billed later, the service or product they provide you is recorded as revenue on their books, even though you haven't paid anything yet. In double entry accounting, they have recorded this as revenue (or earnings) in the one column, and accounts receivable (or moneys due) in the other. In normal circumstances, when you pay your invoice at a later date, the accounts receivable balance for you is reduced, and the cash on hand or bank balance is increased. However, if you don't pay your invoice, your balance due ages, and at some point the accounting manager needs to decide that the odds of collecting these funds are low, and cancel out that revenue. In this case, the bad debt is written off, meaning the accounts receivable balance for you is reduced, and the written off debt is charged to an expense. It's an accounting procedure that cancels expected or precalculated revenue. What does that mean for you? That you are forgiven the debt? Not so. Products or services have been exchanged, and you the customer will still be liable. If you later pay the delinquent account, the 'lost revenue' will be re-entered, and the bad debt expense total will be reduced. It might not sound simple, but its basically keeping track of sales, what is due the company, money on hand, and unexpected losses. 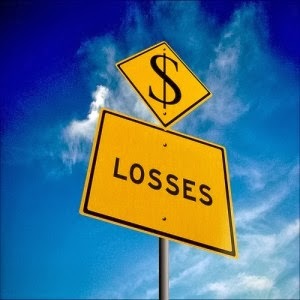 Small and medium-sized businesses often have strange preconceptions about bad debt write-offs. Some believe the file must be written off before being sent to collections, others believe that if an account is written off, the company is forfeiting its right to pursue the debt. While charging off doubtful accounts is part of the credit cycle process, it is not mandatory to have it walk in lock-step with collection or legal actions. When an account is most likely not going to be recovered, it should be written off from an accounting stand point -- this does not waive any of the creditors rights or remedies. Certainly, the debt should be written off before the statute of limitation expires. If an account is later recovered, it can be noted as recovered revenue, and reverse or offset a small portion of the previous bad debt write-off ledger entry. An issue that often plagues larger creditors is managing bad debt write-offs after the fact. One of the most important messages I can give a creditor is to set up their system to show the debt amount in their customer management system even after charge-off. Nothing is more frustrating than a debtor (rightfully) questioning the validity of a debt from a collection agent, and then calling the creditor to be told by a mistaken customer service representative their balance is $0! This undermines the collection process and feeds the consumer myth that the debt is forgiven if marked as a bad debt. If you have questions about the process surrounding practices surrounding late stages of the credit cycle and how accounting practices can impact collections, I can be reached at my office at 226-946-1730. For other advanced accounting questions, Jason Kingston can be reached at 226-747-6944.